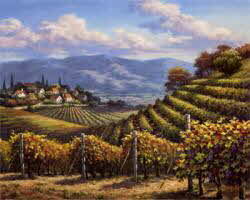 California's vineyards were less than 100,000 acres before Prohibition, and by the end of Prohibition had expanded to over 600,000 acres! 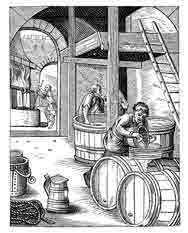 Mead or Metheglin is an alcoholic beverage made by fermenting honey and water, sometimes with spices and/or fruit added, and sometimes with yeast added to speed up fermentation. Mead is one of the oldest alcoholic drinks, and its history can be traced back to ancient Greece and Rome and a drink called hydromel, made from honey and water. Hooch or hootch is an American slang word popular during prohibition for illegally produced alcoholic liquor. It is also a colloquialism for cheap liquor. The word originated in the late 19th century in Alaska. A small Tlingit tribe, the Hutsnuwu (Hoochinoo) Indians lived on Admiralty island, south of Juneau, and were distilling their own alcoholic liquor from molasses in the late 19th century (they probably learned the distillation process from American trappers). The product became known as 'hoot-chinoo', 'hooch' or 'hootch', and a 'Report on the Population of Alaska' published with the 1890 U.S. census, stated that the cause of 'nearly all the trouble in this country' was 'hoochinoo' or 'hooch'. Ale is a fermented alcoholic beverage that is brewed from the same basic ingredients as lager beer. Different fermentation methods give it a different flavor. Ale generally has a stronger hop flavor and higher alcoholic content than beer.